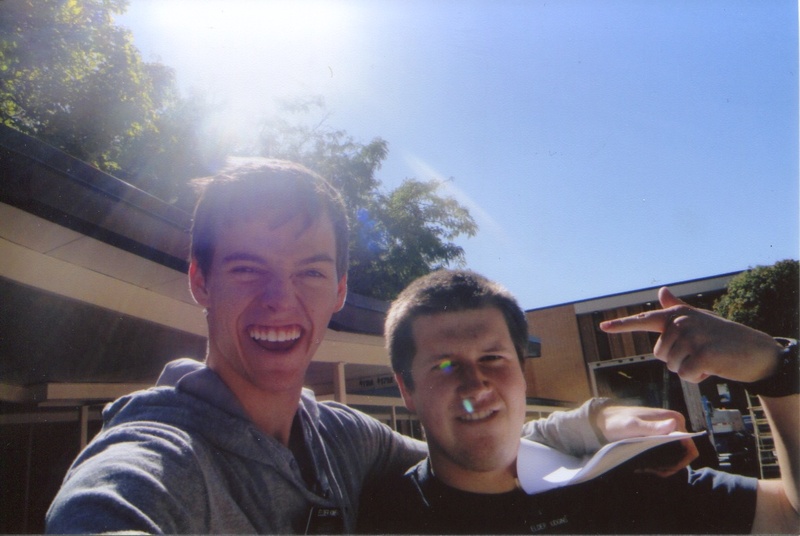 We just got a few pictures from Kyle in the MTC with his companion and his district. He was not able to send digital files over the MTC computers so these are scans of pictures he had made up from the bookstore. This is Kyle’s entire district at the Provo Temple. If you remember from our post of Kyle entering the MTC, we mentioned Elder Hancock whom we met at The Brick Oven. 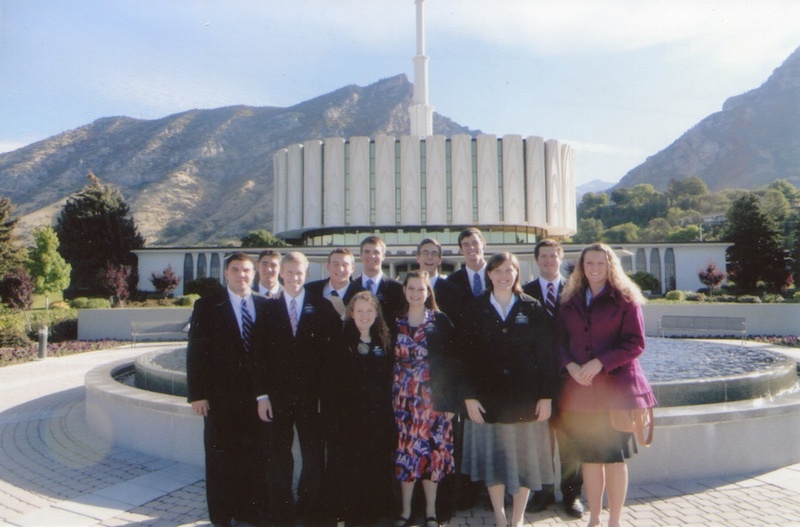 We recently discovered Hermana Sandorf has a blog of her own and has her sisters posting her mission updates. 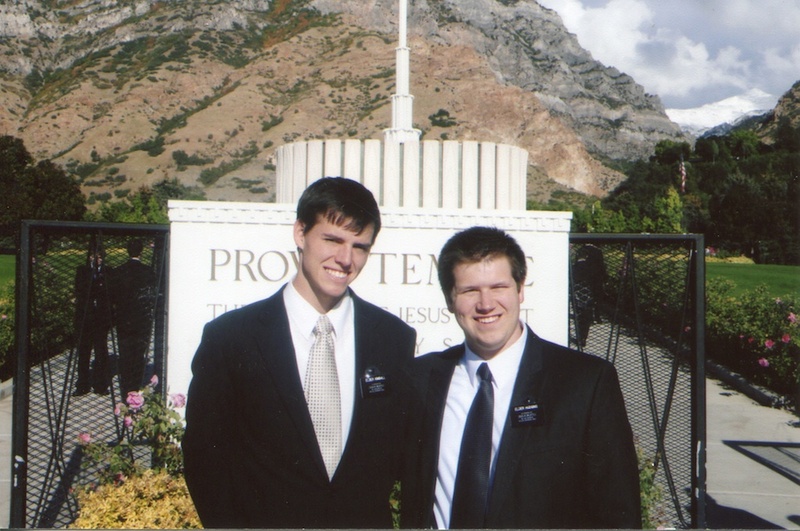 Elder Kimball and Elder Hudgins in front of the Provo Temple. Elder Kimball and Elder Hudgins were just informed they needed haircuts. 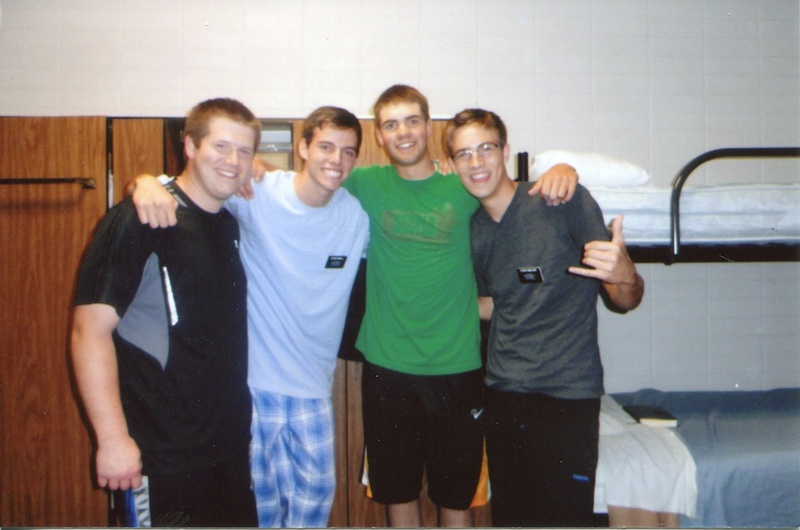 Elder Hudgins, Elder Kimball, Elder King, and Elder Snelson, room mates in the MTC. Kyle mentioned that he and Elder King collided awkwardly in the gym while playing basketball. The gym trainer thinks Elder King may have torn his MCL. He had an MRI after the letter was sent so we don’t yet know the results. We hope and pray all will turn out well. 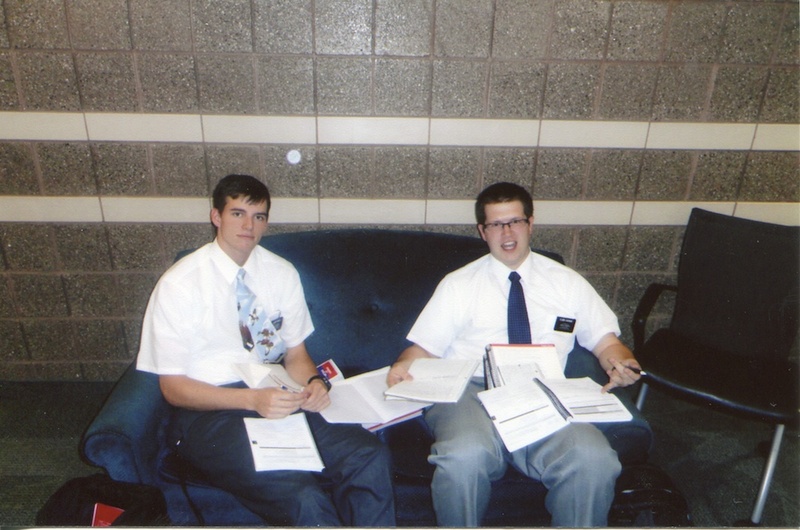 Elder Kimball and Elder Hudgins with all their study supplies. This entry was posted in Companion: Elder Kimball, MTC by Jim Hudgins. Bookmark the permalink.